Not everyone has a doorman, and that can be a problem. Who’s there in the lobby to collect your laundry, dry cleaning, packages – even your donations to goodwill? That’s where CleanCube steps in. 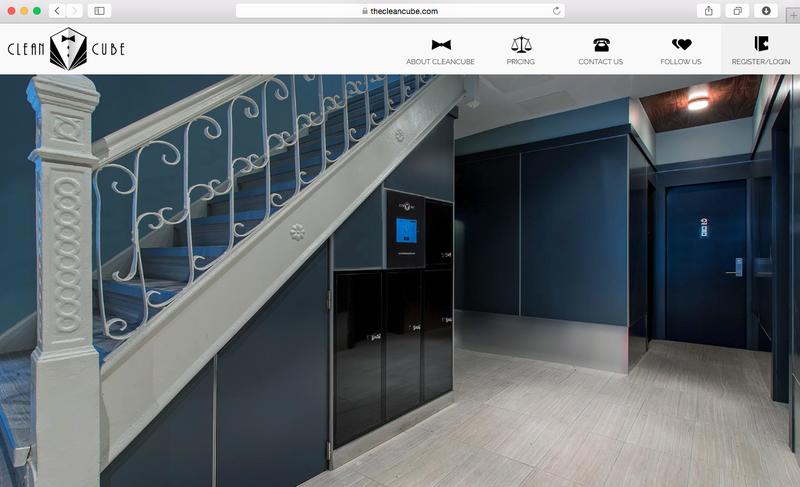 They’re literally your digital doorman, dispensing and collecting your laundry, dry cleaning, packages – doing all of those things that a doorman would do via a mini storage unit that sits in your lobby. And you have your own personal code, so no need to worry about someone else collecting your deliveries. Oh, and no tipping required. President and co-founder Arthur Shmulevsky tells us how they’re helping to disrupt the Other Half – and providing busy New Yorkers with an invaluable service – one delivery at a time. 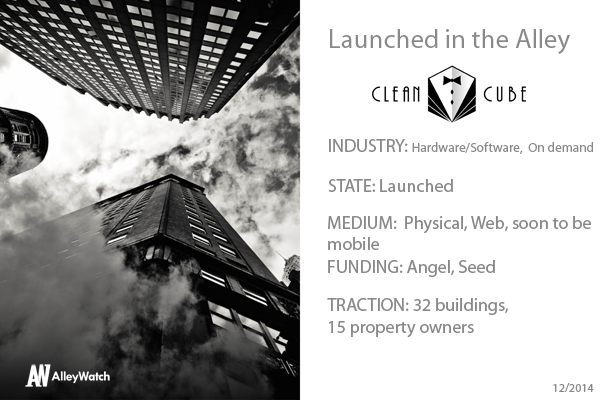 Clean Cube is a physical agnostic platform that sits in the lobby of a residential or commercial building and acts as a ‘last mile’ solution for the On Demand Economy. We are currently launched in 32 buildings in NYC and expanding rapidly! The On Demand Economy is growing at an exponential rate, making the problem of the ‘last mile’ more and more acute. Busy people don’t want to sit around and wait for deliveries. Clean Cube is the only platform that acts as an agnostic ‘last mile’ solution. Our technology is completely modular and customizable, allowing us to fit into virtually any buildings. Furthermore, being agnostic allows us to partner with a wide variety of on demand service providers. The On Demand Economy is a multi-billion dollar industry, and Clean Cube wants to be a service layer that sits atop of that. We know that by being a service layer between the On Demand service provider and the customer makes the logistics/operations much simpler (no need to work around delivery windows), as well as being more convenient for the end user (no need to wait at home for a delivery or pick up). We have both B2B sales (selling the units to smaller buildings) and b2c sales (taking a cut of the On Demand services we provide). We are vertically integrated in the high-margin services, while partnering with On Demand Service providers for all the additional services we want to offer. What is the strangest thing that has been left in a CleanCube? Haha, a lot of smelly clothes! Beside that, one of the services we offer is free Goodwill donations (we send a Goodwill tax receipt to the tenant with every donation) so we’ve seen some random stuff to be donated… Sombreros, magician hats and canes, etc. We believe that we will expand to about 100 buildings within six months and also open a few generic locations to the public (which would pare with our upcoming Clean Cube app). Probably one of the Kushners. They have a lot of experience and connections in real estate and are savvy investors. New Yorkers value convenience, work hard, have discretionary income and are early adopters of new technologies. It seemed like a natural fit. I love the views from Brooklyn Bridge Park in Brooklyn, between Manhattan Bridge and Brooklyn Bridge. You can see an incredible view of all of lower Manhattan and the view is really inspiring.